Right now I should be finishing a paper for my independent study. 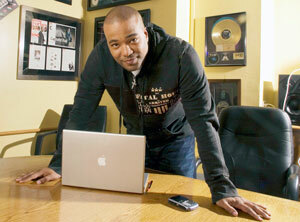 But I just heard the news about Chris Lighty’s death. Though I never met him, being part of the Hip Hop village, I always heard good things about him. Reading my sister, Joan Morgan’s, one word post on Facebook, “devastated,” I broke down and thought, another possible suicide in our village. Why is this happening? All of us living and breathing are dealing with a myriad of challenges, especially financial ones, so what is it that makes one want to kill themselves? And why is there so much silence in communities of color? 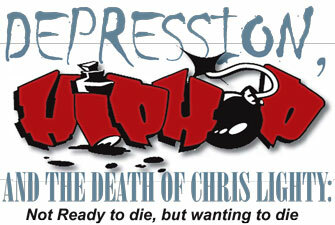 It was not until 2005 that I was diagnosed with Bipolar disorder and depression. I was 34 and after a very hard pregnancy, in which I suffered from a rare disease, hyper-emesis, along with postpartum depression, did I finally admit to myself that I had been suffering with depression since my mid-twenties and I desperately needed help. Depression manifests itself in many ways. For me, it manifested as manic episodes of high energy, no sleep, compulsive cleaning and bursts of anger. As I look back at my life I recall encounters in which I acted irrationally, impulsively and destructively, sometimes publicly. I recall episodes of manic states in which I would stay up for days, clean and write like a fiend. When the panic state ended I would shut down and isolate myself for days in my room and cry myself to sleep, thinking of death. In the subsequent seven years since my diagnosis, I have sought treatment that includes medications, talk therapy, acupuncture and tried more holistic techniques. I have great days and some very dark ones but I believe I am better and as I continue to live, I have come to truly understand this disease. One of the hardest things was telling friends who would then tell me all the evils of these meds and urge me to drink this tea, do this exercise, eat this food or just go out and take a walk, it’s just the blues. I turned 40 this year and I told myself I would live my life in my truth. Every day I wake up and I know that as much as I want to have a great day, the slip back into a depressive state lurks around the corner. Unfortunately, so many do not have the information, the networks or the support systems I do. Damn, so many are not privileged enough to have health insurance that covers mental health services. In one of my recent sessions with my therapist, she reminded me that there is no cure for depression, there is living with depression. Hip Hop and the larger community of Black and Brown, progressive, radical, social justice activists must figure out a way to begin a dialogue, to not just break the silence around depression, but to stop the shaming of those who suffer this disease. Often times I feel that if I had an ailment that was physical or one that people could actually see people that their hearts and minds would be more open to that disability than to my mental health disability. Today my silence stops. My shame ends. I am going to say the one thing you are never ever ever supposed to say; I wanted to die. Some of us reach this point, and it is the most frightening thing to say and feel. That day in April 2005, living in Brooklyn, I felt that feeling. The sick, nauseating, head spinning, heart pounding feeling of wanting to die, visualizing how I would die and who would find me. As I lay on my bedroom floor ravaged with pain and tears, hoping to get the strength to walk to the seven on Parkside and Prospect, all I could feel is that soon this would be over, this monster inside of me would finally be gone and so would I. At the moment a bit of light broke through and I did the one thing so many cannot and do not do, I picked up the phone; I called my best friend who called my mother, who called my aunt, who called a friend who is a psychiatrist. She stayed on the phone with me until my husband came home from work and the next morning I was in a doctor’s office. Since that dark day in Brooklyn and until the day I am SUPPOSED to leave this world, I will be living with and battling this disease. As I said, I never met Chris Lighty, but I keep imagining the moment he put that gun to his head, the pain and despair he must have felt is unfathomable. The thought of it makes me physically ill. As many write about his death, some will say he did not commit suicide, some will say that he showed no signs that he was depressed; some will blame his financial issues, some will be angry; some will ask themselves what could I have done and unfortunately, some will pass judgment and some will never be able to admit that he lost his fight. The despair he must have been in might not have been noticeable even to those closest to him. Maybe no one knew. That’s the thing about depression; it’s a disease that is often suffered in silence, alone, behind a closed door, in the corner of a dark closet, under the covers of a bed. I have often said that Hip Hop saved my life; now we need Hip Hop to do what it does best; tell the hard truth, bring people together to create the means to battle whatever ails us and try to save lives. For those of us in this Hip Hop village suffering from this wretched, debilitating disease, we must Break the Silence; we must Stop the Shame. We must do it for those that are still living and in remembrance of those like Chris who did all they could to survive but lost their battle to this demon. (Rosa Clemente is Hip Hop Scholar and Activist, 2008 Green Party Vice-Presidential Candidate. Currently she is a doctoral student in the W.E.B. DuBois department at UMASS-Amherst and can be reached on Facebook, Twitter @rosaclemente or via email at clementerosa@gmail.com).